Fast Company magazine, which covers innovation in technology and “ethonomics”—or ethical economics—recently released its “most innovative” list for education enterprises, and on it are a number of recognizable names in K-12 education, as well as some less familiar ones. In the top 10 innovators for all companies were Apple (ranked #2) for “creating magic with minutiae,” particularly iOS 8, its new mobile operating system, and Google, ranked #4, for “making the hit laptop nobody saw coming.” Google also landed the #7 spot on its list of Top 10 in innovation for education. #10 – Kaymbu, a startup focused on connecting parents of preschoolers with what their children are accomplishing in the classroom. This is the fifth year that the magazine has identified its Top 10 innovators among education enterprises. The magazine casts a wide net for organizations to be considered, according to David Lidsky, the deputy editor who is in charge of the lists. As they make their selections, the judging team looks for selections that “reflect the themes and ideas that have been prime areas of thought, debate, and work” among people in the field, he said in a phone interview. Of interest are those seeking to make change, or those who empower teachers, or try different models for schools. “Hopefully, we hit on some of those macro trends happening in education,” Lidsky said. Past lists tended to be more weighted to education technology than this year’s list, Lidsky said. Of the broader spectrum, some selections “might be more heavily weighted toward the audacity of the idea, and others more about [an organization’s] impact in a given year,” he said. 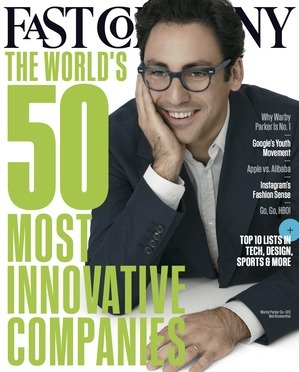 Fast Company‘s previous Top 10 in education lists include mentions of enterprises that are well-known in K-12 circles, including Kaplan, LearnZillion, Knewton, and KnowRe in 2014; Amplify, GameDesk, and ClassDojo in 2013, Knewton and Pearson in 2012, and Khan Academy and Discovery Education in 2011. For 2013, when Coursera topped the list for simultaneously scaring and wooing brick-and-mortar universities into the future by helping get their courses online, at no cost to students. For 2012, when Southern New Hampshire University was named “for relentlessly reinventing higher education, online and off,” as a private, not-for-profit university that is not selective. For 2011, when New York University was #1 for opening a second campus in Abu Dhabi.